IBIS is a project of the KFKI Research Institute for Particle and Nuclear Physics and KFKI Research Institute for Materials Science, Budapest, Hungary primarily for scientists, students involved in ion beam analysis and other nuclear solid state methods. This project dates back to 1993. 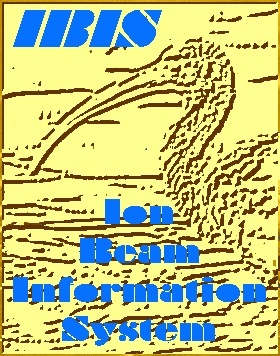 IBIS is available on-line at this site since March 1997. A major electronic forum of this Community is ION, an information and discussion journal with over 100 subscribers from 25 countries all over the world. Send your suggestion and request by E-mail to the Webmaster or to the editors.